In this post, I will be providing a few law of attraction exercises that will work best for the beginners because when people learn about the universal laws for the first time, they are usually very confused about how to use the LOA methods. I am going to write some methods here that you will be able to use right away after reading this post, but these exercises are meant to be used for gradually becoming better at getting what you want rather than going for the big goals in the beginning, as going after big things initially is not a good idea. What matters the most while using your creative power to get what you desire is to believe that you have control over what happens in your life. Obviously, in the beginning, you won’t be having the faith that is required to attract your desired stuff and that’s the main reason why so many people fail to use these principles properly. Most of the people I have known who are skeptical about this whole concept of LOA are those who succeeded initially and later failed to attract their big goals. I know many books written on the law of attraction talk about setting very high goals, but I suggest you start with small things and gradually move forward because this way your faith in these methods will grow stronger. That’s why the techniques I am going to write here mainly focuses on improving your emotional state because once you start feeling good, the manifestation of your desires follows. I agree that the manifestations of your big goals are possible, but trust me, small random manifestations surprise us more. What happens in most cases is that big goals take a lot of time to manifest and often during the process we get too much involved in the practical action steps, so when it actually happens, we often don’t find it very much exciting. On the other hand, when we set small goals, we often forget about it and when it shows up out of nowhere, we get surprised. The more these small manifestations happen, the more you will start believing in your creative power. 1 – Close your eyes and take a few deep breaths. 2 – Imagine yourself with any small thing that you want to attract. Let us assume that you wish to dine at your favorite restaurant, so see yourself eating your favorite food there with whoever you wish to. 3 – Feel the feelings this thought brings to you, enjoy it as if it is happening right now. 4 – Open your eyes and say “thank you universe”. Do this a few times and then forget about it. Whenever we see something that makes us jealous or sad about the fact that we don’t have it, the feeling of lack that emanates from us tells the universe to keep that thing away from us. It is like the universe is giving us options and we are rejecting it every time, so if you see a happy couple and feel a little jealous about being single, energy wise you are saying “I want to stay single”. So, next time whenever you come across something that makes you jealous, become aware of your emotions and bless that thing with genuine feelings. This will make you feel better and then say to the universe with a strong intention “Yes, I would love to have it”. Making this method a part of your life will turn everything that makes you jealous into an opportunity to attract that in your life. One of the easiest ways to know how your creative ability works is to observe how things often happen according to your intentions. Your monotonous lifestyle might have killed the new possibilities, but once you realize the power of your intention, your life will never be the same. However, in the beginning, you can fortify your faith by setting your daily or weekly intentions by writing it down on a paper as a checklist and then watch how it works for you. Just write a few things you want (small, possible things) at the start of every week (or day) and whenever an opportunity shows up that can make it happen, do take the necessary actions. I have talked about this in many posts; this is something I use to magnify the good feelings of any moment. You should use this as a beginner so that it becomes your second nature later on. People who are aware of the universal laws usually have a specific time in the day for expressing their gratefulness to the universe for all the things they love about their life and that’s a very good habit, but when you make gratitude a part of your life by practicing active gratitude, you will feel like you are supported by the higher power always. It is a very simple process; all you have to do is to say “thank you” whenever something big or small happens in your life that makes you happy. Don’t judge it by its simplicity; this process can work miracles for you. 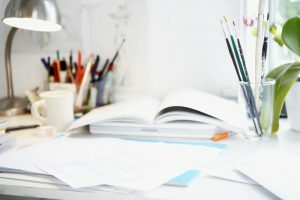 You might be already familiar with the vision boards, but as a beginner, you may find it boring to make a vision board and do visualizations. It is still a very difficult thing for me even after so many years of learning about these laws. However, I have found an exercise of making vision boards which makes it an interesting process for me and the simple rule to make any LOA method effective is to have fun while doing it. When you are new to the LOA methods, affirmations might be the one technique in which you will be making a lot of mistakes because formulating an affirmation is a tricky task. So it is always better, to begin with, the general affirmations you will find in a lot of books, but still, you must choose one that evokes some strong positive feelings in you. The easiest exercise to make proper use of affirmations will be to say these statements when you go to sleep, you can also use some visualization here and do it until you fall asleep. This is very effective because before sleeping we go to the alpha state of mind, which is a more relaxed state than the usual one when you are awake, and in this alpha state our subconscious mind is open to receive suggestions. I hope you enjoyed this post. Once you have become good at using these methods, then you can use the energy block clearing methods I use to clear all my limiting beliefs that hinder the manifestation of my desires.